We have redirected you to an equivalent page on your local site where you can see local pricing and promotions and purchase online. Work faster and more efficiently by using the AutoCAD for Mac shortcuts below. 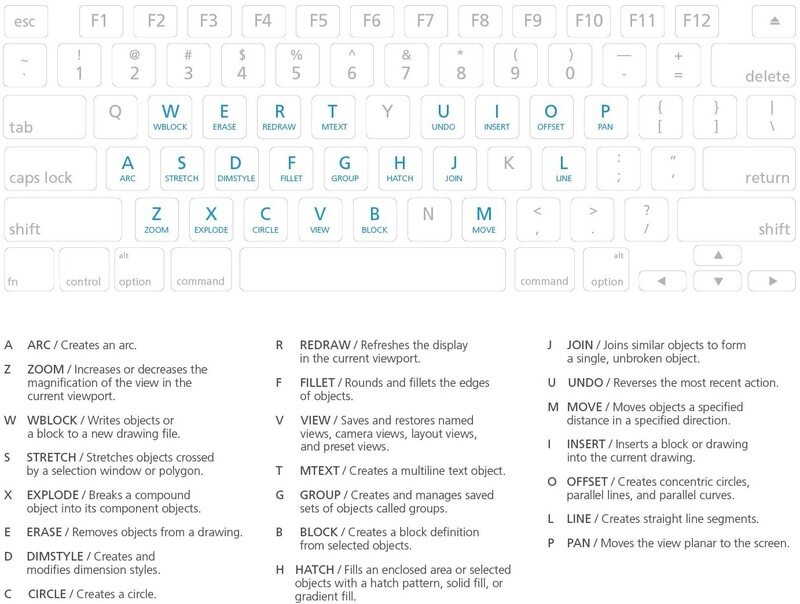 You can find a downloadable list of shortcuts and commands in the AutoCAD for Mac Keyboard Shortcuts PDF. Below, you'll find the AutoCAD for Mac one-key shortcuts. Click on the image for a larger view. Below, you'll find an abbreviated list of commands that can be used in AutoCAD for Mac. PGP ALIASEDIT / Creates, modifies, and deletes AutoCAD command aliases. PMAUTOOPEN SSMAUTOOPEN / Controls the display behavior of the Project Manager when a drawing associated with a layout is opened. It’s easy to get started. Download a free 30-day trial and try it out. Purchase options include flexible subscription terms to fit your needs. Autodesk is a leader in 3D design, engineering and entertainment software.